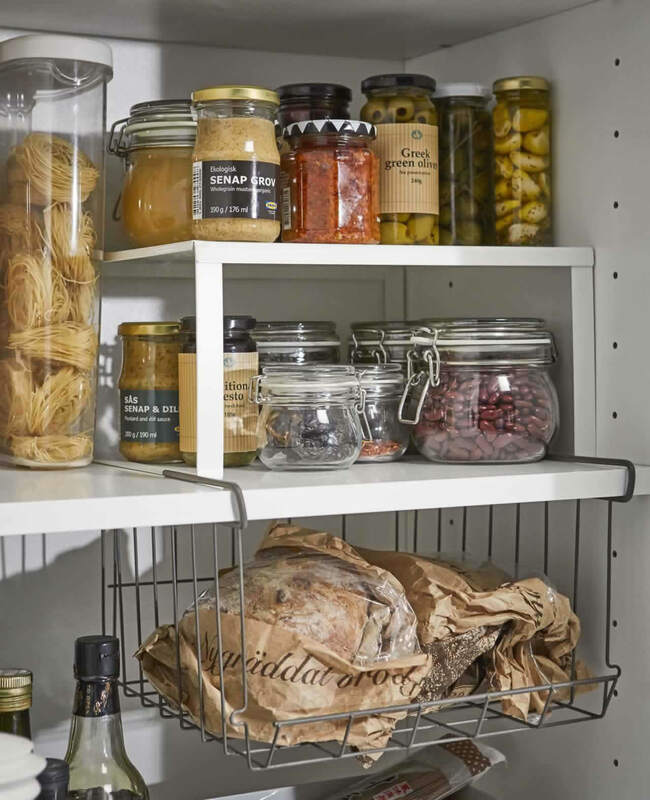 Arrange your kitchen pantry with these five storage tips so you can spend less, waste less, stress less...and have more time around the table. Use baskets to keep tall bottles like oils and sauces together — and to protect the pantry from spills. Organize baskets by mealtime so you don’t have to hunt for ingredients, or gather “friendly foods” together for anyone with allergies. 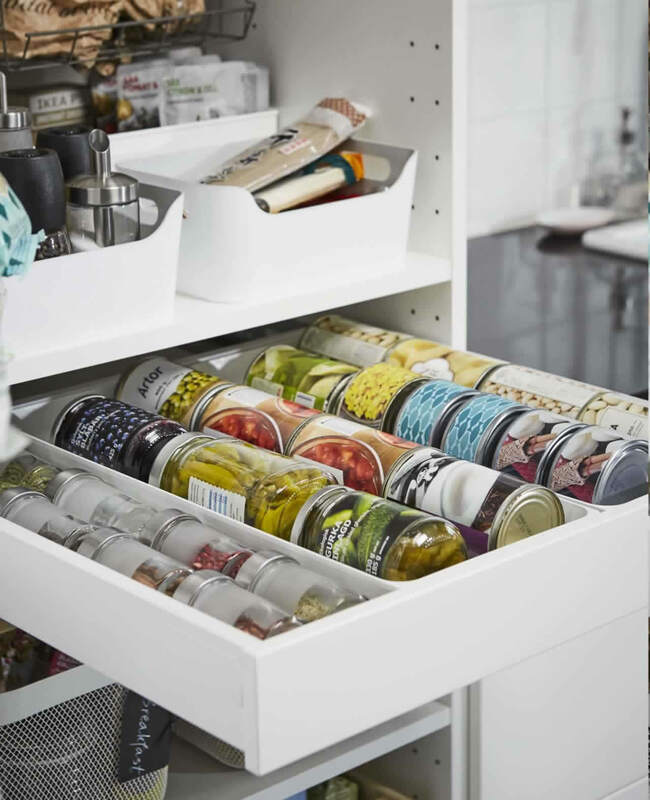 See all your cans, spreads, and spices with one glance by installing a pantry drawer. You’ll be able to reach the very back with ease — and avoid silly stacking games. Use drawer inserts or dividers to keep the cans in place. 3. Put a shelf on it. 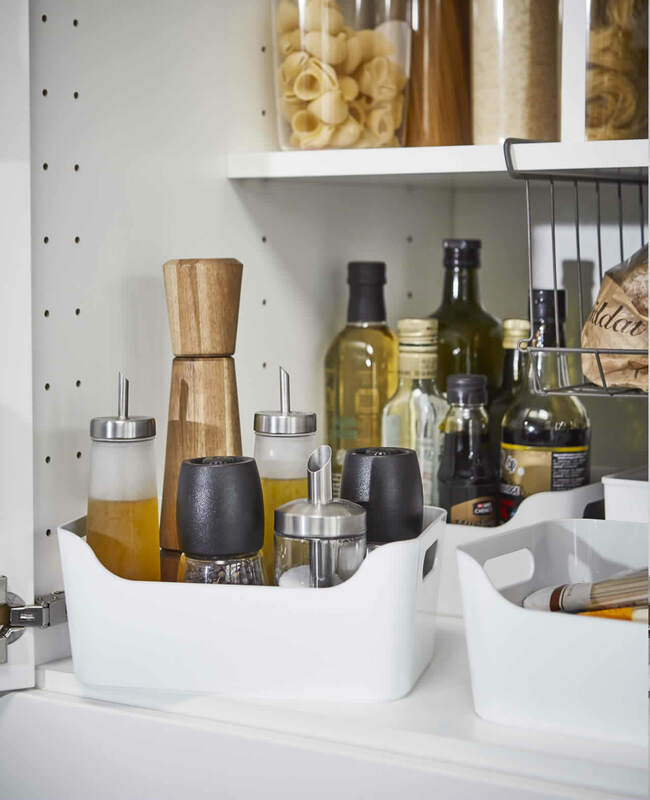 Use shelf inserts to create extra levels for jars and other items with varying heights. 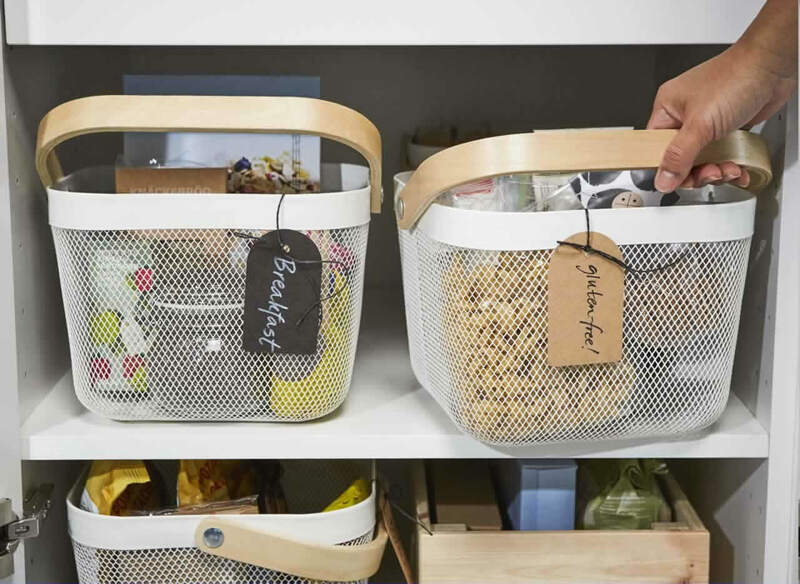 A clip-on basket also maximizes pantry space, and you can place flatter foods like tortillas and noodle packs underneath it. 4. Store on the door. 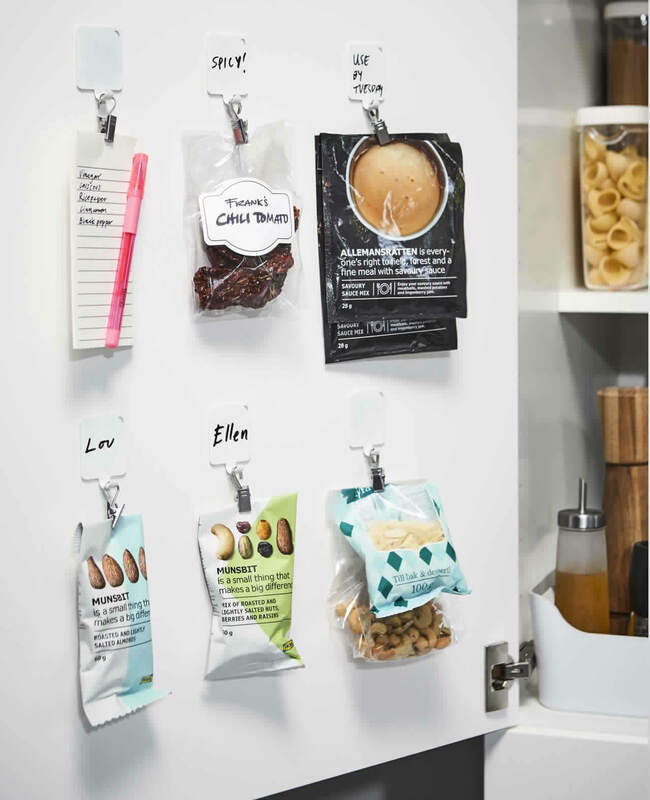 Put snacks and sauce packets front and center with hooks and clips so they don’t get lost. Hang your grocery list on the door to stick to your weekly meal plan. You can even write names (and reminders) on the hook plaques so everyone has their own snack space. Clear containers show exactly how much you have so you can plan your grocery runs better, avoid overspending, and waste less food. 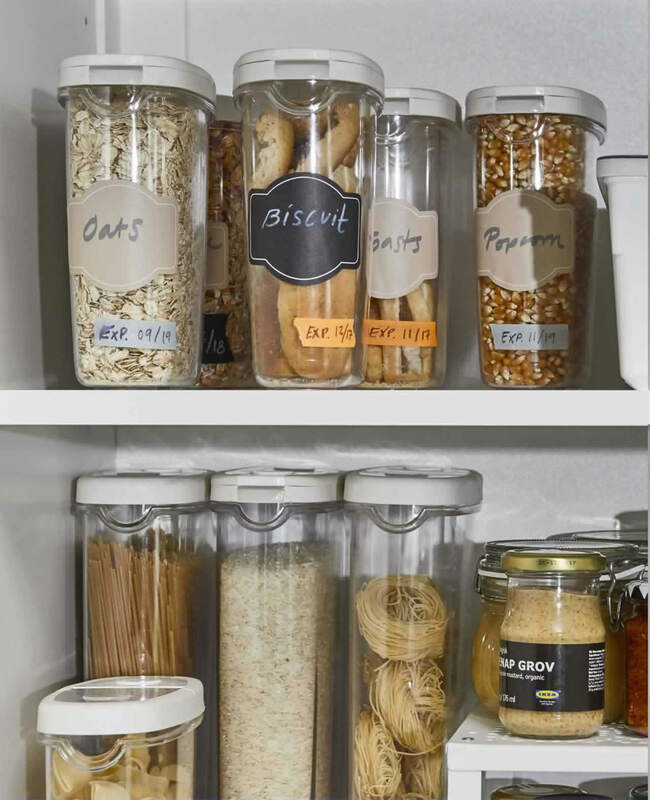 Label each container if you want, and tape on the expiration dates so you will know when it’s time to restock.